More Photos?! See my works! 00 WHAT ARE YOUR RATES? At a base for the wedding photographic service only (not including Albums, prints or travel expenses; see below) we delivery all photos with our best editing. Let me know your need, and I will send you a detailed personalized estimate. 01 WHEN I HAVE TO BOOK THE SERVICE? It is always better to book the service at least 6 months before the set date. 02 HOW TO BOOK A SERVICE? After checking our availability for the date chosen by you, you can book the service by phone or mail, by paying a deposit. If possible we always prefer to meet the couple, to be able to explain our style, the way we work and define the details of the day. Basically our Studio operates in Pietrasanta, and operates in the province of Massa, Lucca, Pisa and Livorno as well as in nearby Liguria. The travel expenses are to be paid by the client if the distance exceeds 150 km (round trip). 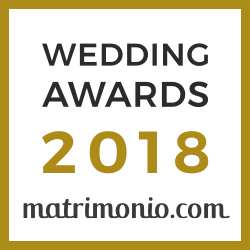 For the Real Wedding service in addition there is the transfer of the second photographer (the costs are fuel, highway taxes and possible overnight stay, without further increases). Contact me by specifying where the marriage will take place to evaluate these expenses together more precisely. 04 HOW MANY PHOTOS WILL WE GET? Usually We deliver all photos with our best editing. To satisfy the curiosity of the couple, within a few weeks from the wedding I will send the samples of the images and from the moment of the selection of the photographs will pass about 90 days for the delivery of the printed material. 06 WHAT TYPE OF ALBUM DO YOU OFFER? The albums we offer are “photo books” and “classic albums”. I love fine art prints so we can decide to use my internal print Lab to create a special and unique work for your wedding or my photobook partner as Epoca or Celebra for a fine event book. 07 TO HAVE RE PRINTS? We always deliver on a DVD all the wedding photos in high resolution (700 or more photos it depends on the services you choose), so you can print them wherever you want. On request and we offer: photographic prints, fine-art prints, framed photos, photographic panels and much more. I will also need to eat something, it does not matter whether it’s lunch. 10 ARE YOU A MEMBER OF ANY BLOG/MAGAZINE OR PHOTOGRAPHY ASSOCIATION ? !